One of the many low points of this year occurred when Donald tried to diss Hillary by calling her a “nasty woman.” Yet feminists across the country immediately rebranded his intended insult: we knew that Donald’s “nasty woman” is one who talks back to bullies, who is competent and in command of facts, and who tweets for a better and more perfect union for all of us. Jewish feminists in particular have lots of experience reclaiming the insults meant to silence us. In keeping with Lilith’s tradition of praising big-mouthed Jewish women, let’s celebrate seven of the Jewish “nasty women” who made news in 2016 (7 is the number associated with creation and blessing in Jewish tradition). May their collective work inspire us to each do our part to repair a very broken world. 2) Although we mourn the untimely passing of actor-director Ronit Elkabetz, her work depicting the plight and the persistence of the agunah (chained woman) in Gett: The Trial of Viviane Ansalem endures. The final part of a trilogy based on her parents that Elkabetz co-wrote and co-directed with her brother, Gett was a “gift for Israeli citizens” and for all who understand that “Give me my freedom” should be a non-negotiable demand for women. 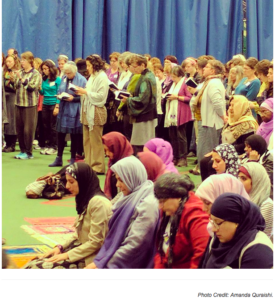 4) The Sisterhood of Salaam Shalom, a grass-roots alliance of Jewish and Muslim women, saw the numbers attending their annual conference skyrocket from 100 to almost 500 in 2016. These “nasty” women, who have formed 50 chapters in 20 states, know that we’re stronger—and safer—together. 5) Judaism classes and elliptical machines keep Sarah Hurwitz, speechwriter for Michelle Obama (and, indirectly, for Melania Trump) at the top of her game. Hurwtiz and Obama working together on some of the most rhetorically powerful and substantive speeches of the year reminds us that progressive Black-Jewish alliances have been transformed but have not been extinguished. 6) 2016 was a year when the media in general and Jewish journalists in particular were maligned when they did their jobs, fact checked and asked hard questions. So let me give a shout-out to Emma Green of The Atlantic who had the ovaries to ask the charged and controversial question, “Are Jews White?” (in my own work, I favor the term off-whiteness to complicate but not deny the white privilege of many Jewish Americans). This article hit a nerve among Jews and non-Jews alike, with David Duke weighing in with a resounding “NO” on Twitter. 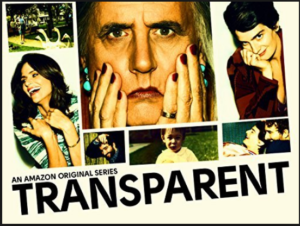 7) The third season of Jill Soloway’s Transparent provided us with great backstory on Maura and Shelly, as well as the spiritual wrestlings of Rabbi Raquel. Consultant Susan Goldberg, rabbi of Wilshire Boulevard Temple and East Side Jews, carefully cultivates the profound Jewishness of this show by studying Torah with the cast. The last night of 2016 is also the last night of Hanukkah. May the lights that we kindle bring hope, miracles, and resilience for 2017. And may “nasty women” live long and prosper. Helene Meyers is Professor of English and McManis University Chair at Southwestern University. She is the author of Reading Michael Chabon and Identity Papers: Contemporary Narratives of American Jewishness. Her more journalistic writing has appeared in Lilith, Tablet, Ms. Magazine’s Blog, and the Chronicle of Higher Education. She is currently writing a book on Jewish American cinema.